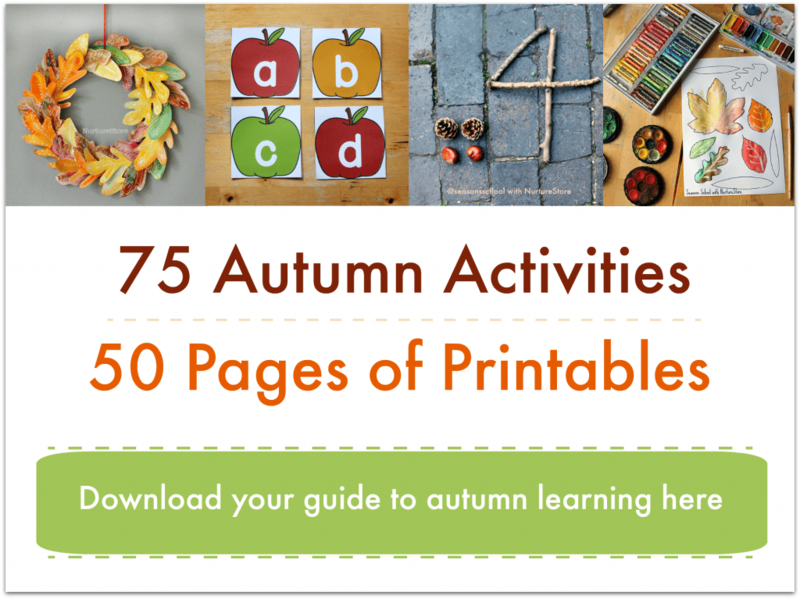 A classic childhood craft – autumn leaf print art is a gorgeous now as it was when we were children. 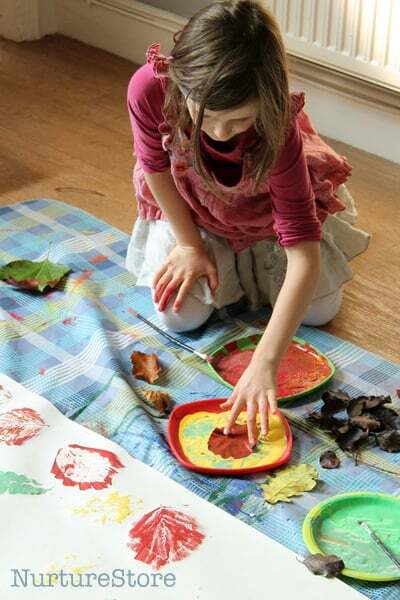 Here are some ideas to add some extra sensory dimensions, and craft ideas that make the most of your lovely leaf prints. We started our project with a walk through the woods, spotting signs of autumn and collecting lots of leaves in different shapes, sizes and colours. 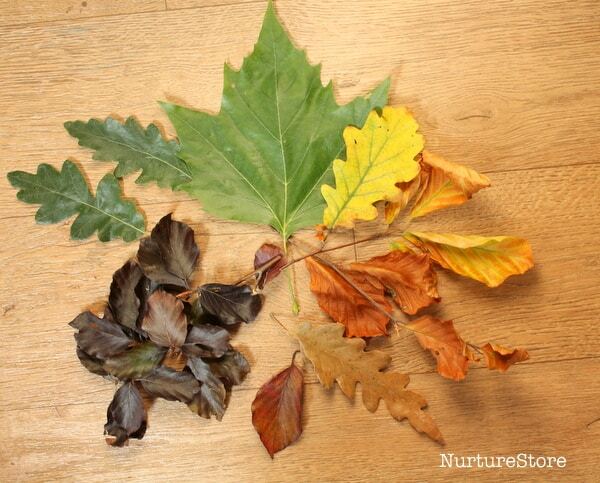 Can you name all the leaves? You could learn how to use a reference book by using a local nature books to look them all up. 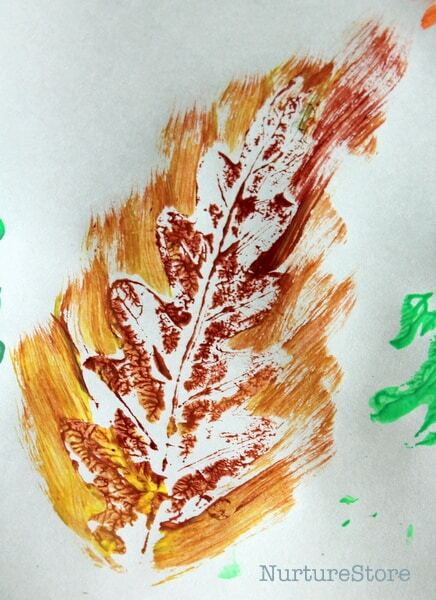 Then we took out our paints and thought about how we could mix colours to match our leaves. We started with yellow, green, re, orange and brown and blended them to make more shades. If you’d like to give your paint a sensory boost you could add in some spices to the paint – perhaps warming ginger and cinnamon. We did our printing on a big roll of paper on the floor. 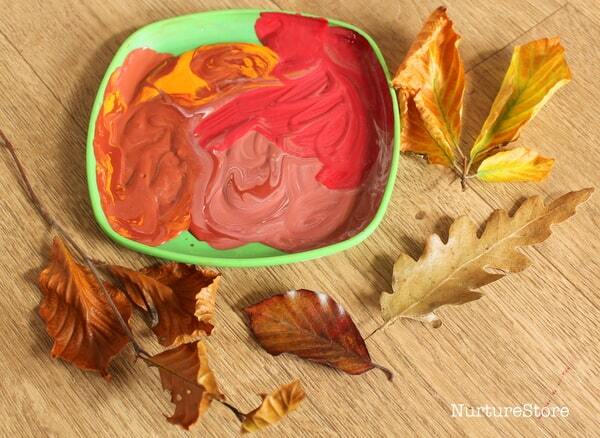 Using plates to hold the paint makes is easier to dip the whole leaf in and cover it in paint. 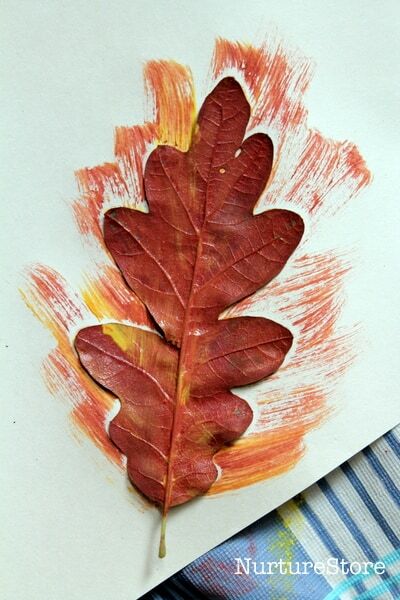 Try using the same leaf a few times before topping it up with more paint, and see how this effects the prints you get. 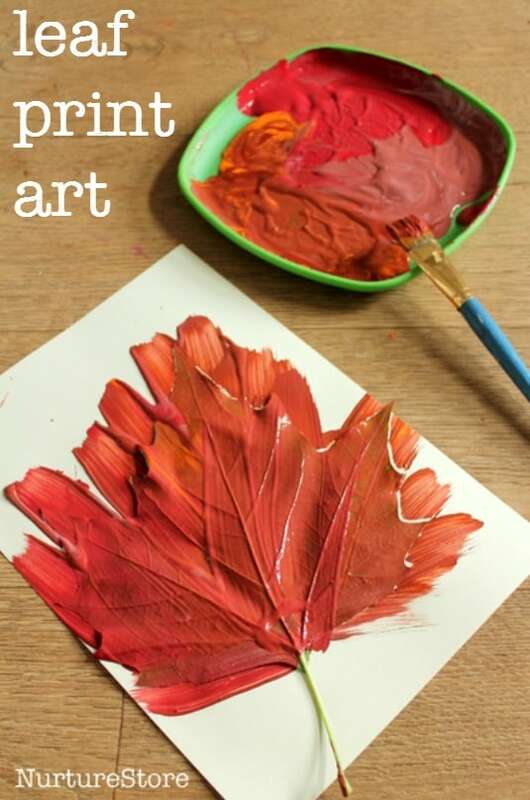 You can also use a paint brush to cover your leaf in paint, or place your leaf on the paper and use the brush to paint over the top, creating and outline. This will give you a negative space shape of the leaf inside. 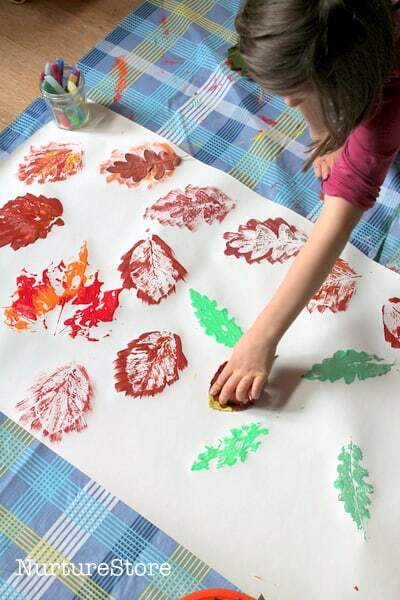 Once the paint is dry, you can cut out your leaves and use them for lots of different crafts.